Welcome to The Ferret Business, new assistants! As part of the largest corporation, we deal in all manner of things: from technology to magic, farming to cooking, even life and death. Every assistant, including yourself now, are important in keeping The Business running, as even the smallest gear helps the machine! But you, you are unique! First day on the job, you were tasked with assisting one of our researchers in Yet Another Teleportation Test. And...it worked! Sort of...see, teleporting across the street, to the moon, heck even to another solar system is easy. Well, easy relative to..whatever JUST happened to you. You are on a strange world in a strange dimension. We can communicate with you, and send items back and forth through your handy, dandy QUEST Tablet, but...unfortunately, we can't seem to bring you home, nor does it seem like we can send you anyone else to help get you home. Wherever you are, I think you can become our biggest asset to date, something that will help The Business grow even larger! Wherever you are is special, and working together with all our top researchers, scientists, and wizards here, we can discover so many new things! In return, you will get paid, receive rewards, accolades, a better job, heck you might even get onto the Board of Directors if you do well! So, are you ready, Assistant? Started playing this pack and was having a great time with it. It's a very engaging pack, has a good story line, and seems to have a lot of quests - all of which make it a lot of fun to play! Then I realized that quite a lot of the quest lines don't exist...so I'm guessing with how long it's been since the last update that this one is dead? Not dead, just slowly being worked on due to RL commitments and work right now. I have roughly 6 more questlines ready right now, and more in various states of progress. Can't really give an eta or anything cause my ability to work on my packs right now comes and goes. I like this pack, but what's disabling creepers from blowing up blocks? Why did you remove matter overdrive? 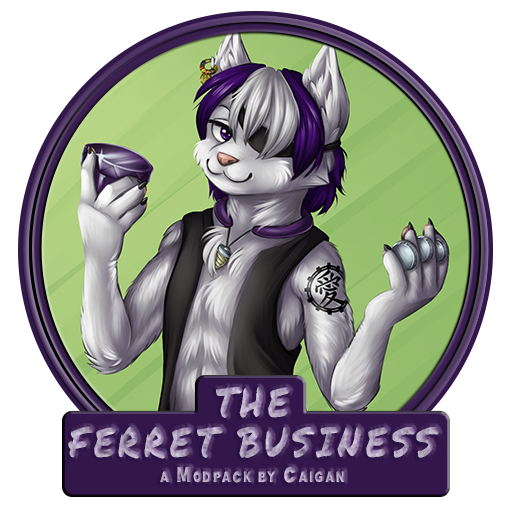 Hey, Caigan, I currently have trouble making the server. Can u get the modpack for aternos? Hey, again Caigan. can you update the server files, please? Will add Actually Additions to the "possible additions" list as well. The current server file from the link provided, (last I checked) is outdated. is this true and/or is there an up to date version? Hey would it be possable to add Space travel mod to the pack? it would make it alot more intressing it be fun to be able to visit space this mod pack is so Great! That line is a normal warning for a lot of mods, nothing to worry about. It looks like your memory allocation is too low. Instructions for how to increase the memory the pack uses for both main launchers can be found here on the GitHub. I apologize for not responding sooner. Thank you for the advice, I'm really thankful! If this doesn't work the next time the computer in question is used, I'll let you know. How do I download and start up the server? I have run many other small server for me and my friends but I don't see any server start up when I download the server? Hi Guys, i need help with my server (The Ferret Business Server). When i start my Server, he runs 1 - 2 Hours and crash without a error in the Console. I start the Server with a Webinterface and i can look into the Gameconsole. Please tell me when you need more Informations. That's odd. Is anything like Cauldron or other non-standard dedicated server being used? Also check the /crash-reports/ folder in the base directory for crash logs. No Crash logs no Errors. Hm, this might take a bit to track down. I've added the Issues link at the top of the project page, which leads to the GitHub for this modpack. Could you make a new issue and repeat all this? It's easier for me to track this way (as curse only notifies me once a day on new messages it seems), as well as makes it easier for others to find the issue later if we can resolve it. In the quest book for Thaumcraft, I am not able to detect/submit the items for Your Thaumic Materials. I can scroll through to get to the next pages for the items but when I click the submit button it jumps back to the first page and won't submit to complete it. Getting the materials again won't update the quest either, is this a bug or is there a work around? Enjoying the pack by the way, keep it.